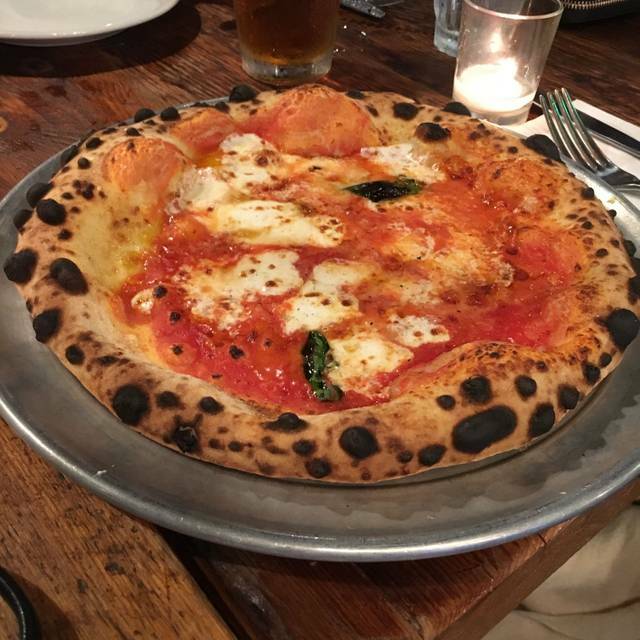 At The Parlor, diners can experience the delicate, wood-fired soul of Neapolitan pizza spun with carefully-sourced, local, and seasonal ingredients. Look for an ever-changing array of classic and innovative pies that simultaneously deliver bold flavors and a clear conscience. Plus, along with pizza, The Parlor offers small plates that touch on the whole spectrum of culinary experience. Look for rustic salads, wood-roasted vegetables, and delicately smoked wings. This is food cooked by chefs who care (mostly because this is what they like to eat themselves). 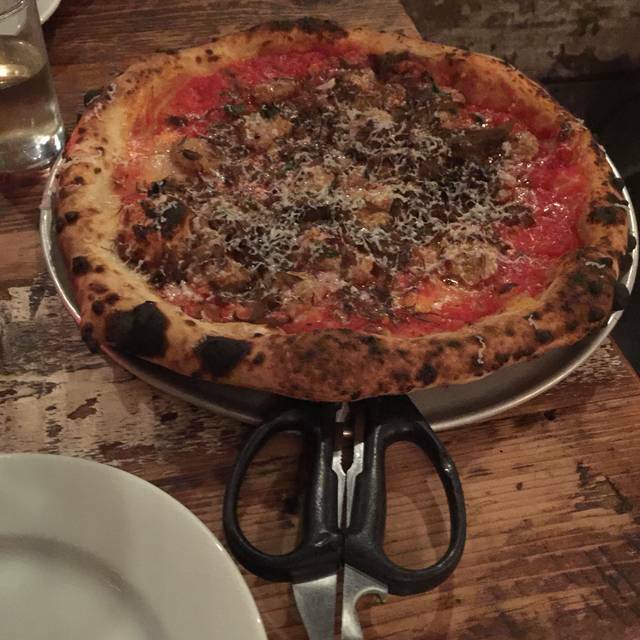 At The Parlor, we offer scissors as an alternative to us cutting your pie, ultimately empowering the diner and creating a playful, efficient way to share with your friends. Alongside a fork and knife, scissors have been the standard in Italy for centuries. Trust us: they work better—plus, you can cut any size slice you like. The Parlor NEVER disappoints. We love this place. The different spins they put on pizza making is incredible. I will never stop liking this place! Our server Laurie Rocks!! She is amazing! The food at the Parlour is all outstanding. It's a lot more than just pizza! 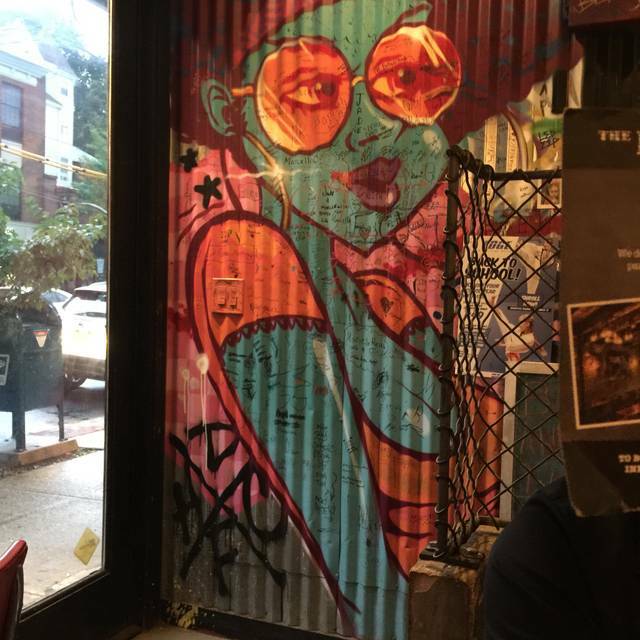 And the vibe makes you feel like you're at a trendy restaurant in Brooklyn. Early crowd is great for families. Highly recommend! Delightful as always. Our waiter Andy was awesome and food was delicious. The ‘shroom pizza was so so good. Great place to get some delicious pizza. They have great specials and the menu has something for everyone's palate. Today I had the Soppressata pie, Parlor Pocket and their Brookie! I was very impressed. Great job team with a special thanks to our server James! We are never disappointed at the Parlou! We were excited to come back for our first visit since they had to close temporarily. They tweaked some favorites and added some new selections ! We are fans!! Lori our server was wonderful!!! This place is nothing short of phenomenal. I highly recommend trying the brussels sprouts. The everything bagel pizza is to die for. The ribs are great, the salads are great, and if you have room to finish it off with a brookie – Your Dining experience is complete. Food was very good, but it was quite pricey for 2 pizzas and 2 beers. Pizza was very soggy in the center and fell apart while eating it. Beyond ecstatic that they are re-opened. The brussel sprouts are a religious experience and the hen of the woods entree was incredibly delicious and filling. However, I am a carnivore and the meatball pizza was perfect. Go for the Brussel Sprouts with Rice Krispies. 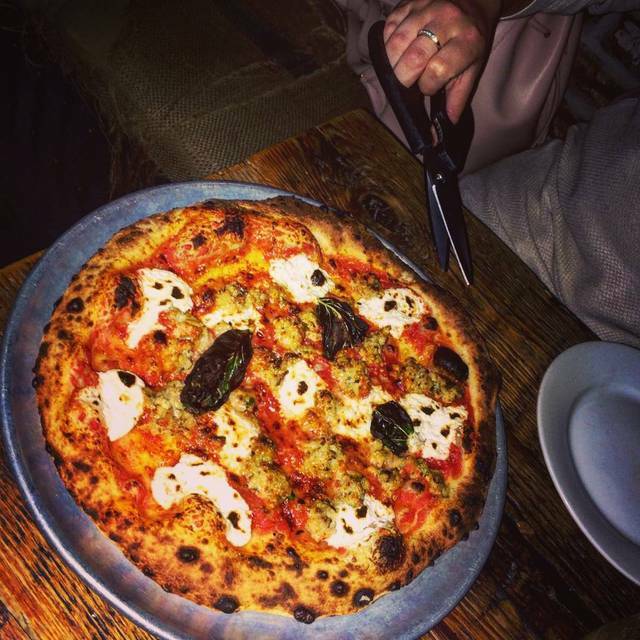 Go for any of the wood-fired pizzas. Even the ice cream pizza. Oh, just go and enjoy. Funky fun, pizza and clams were excellent and the beer new and different and frosty cold. A delightful time. Excellent pizza. Ate at bar and bartender was really helpful and friendly. Limited bar but the cocktails were lovely. Wine by the glass very limited so stick to cocktails or beer. We are delighted the Parlor is open again cooking up their delicious creations! Happy to see the classics like their Brussels sprouts topped with rice crispies and hot honey still on the new menu but also excited to try some of the new items. Our server, Andy, was attentive and friendly as were the rest of the staff. We will definitely return. Thanks and welcome back. VERY disappointed. Had been looking forward to going there for months! First timer. Ordered the Parlor pocket. 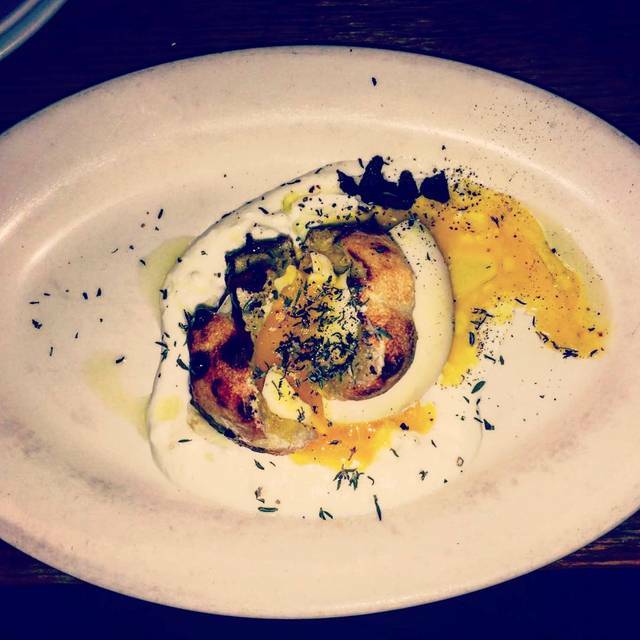 It was good, but the ricotta cheese at the bottom was freezing cold while the egg was warm. It was kind of strange. 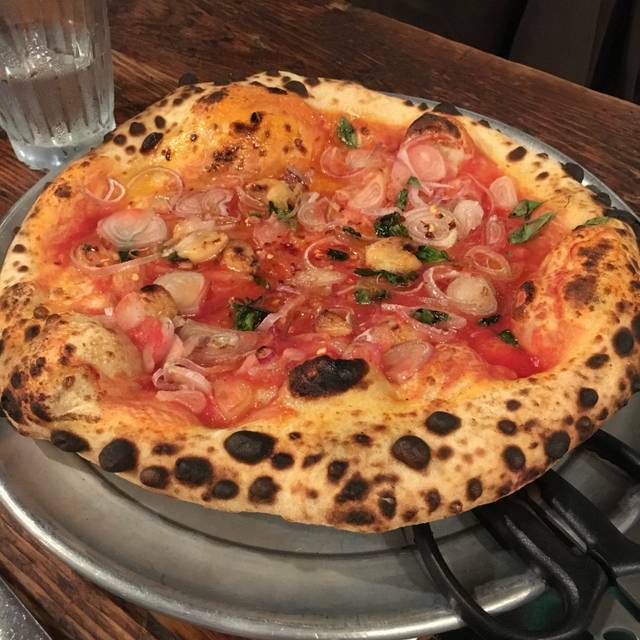 The everything pizza and the clam pizza were good, not great. Crust is limp and there is absolutely no crunch to it.My husband and I both bit into clamshells. The WORST part was the service. It was extremely poor. We had a prior reservation. There was no one in the restaurant when we got there. One table was seated. We ordered The appetizer and the pizzas at the same time. The appetizer came out in a timely fashion. The restaurant filled up after we were done with the appetizer, and everyone got their entrées and appetizers. We sat there for 35 minutes with no pizzas. When we approach the waitress, she said oh you didn't get your pizzas? She came back and said well there's a back up in the kitchen. I told her everyone else in this restaurant has pizza at their table but us. We were here long before any of them. She said well I don't know what happened and walked away. That was unacceptable! No apologies, no "Let me see what happened", no customer service at all. The waitress never checked on us once. Our pizzas finally arrive 40 minutes later. A nice gentleman with a mustache asked us how the pizzas were. We said good. But that's all we could say. We had to actually get up to find waitress and get check! My husband had finished his beer. Nobody came and asked if he'd like another. I had no beverage refill either. There was NO service at our table! Also...The unisex bathroom had no toilet paper. This restaurant obviously needs some attention! Extremely disappointed, and probably won't be back. They don't deserve the business. 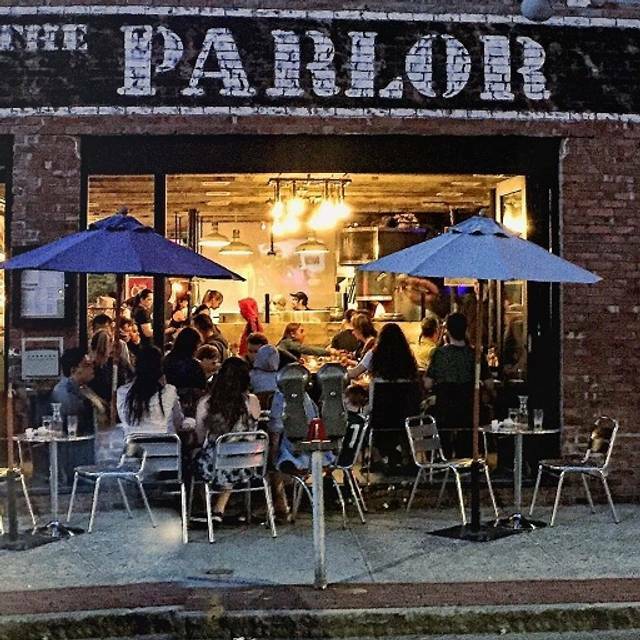 Happy to see Parlor open back again. The pizza is still outstanding. Good food, good atmosphere and great service. Always a treat. Real deal Neopolitan craft, from classic Margherita to the creative. Our 4yr old loves the meatball/ricotta pie. Kid friendly, consistently delicious, nothing but a win here. Delicious pizza spot with variety of dishes that had an interesting twist! Great ambiance and service. Celebrated my sister's 23rd birthday with our family (party of 8). Had an awesome time and they also had great beer and wine selections. Gathered a group of 6, ordered 5 different pies. Perfect place to try new flavors, share and have a good time. Stopped in from the city and had an amazing dinner. Food and service was great. Awesome energy and very creative menu. 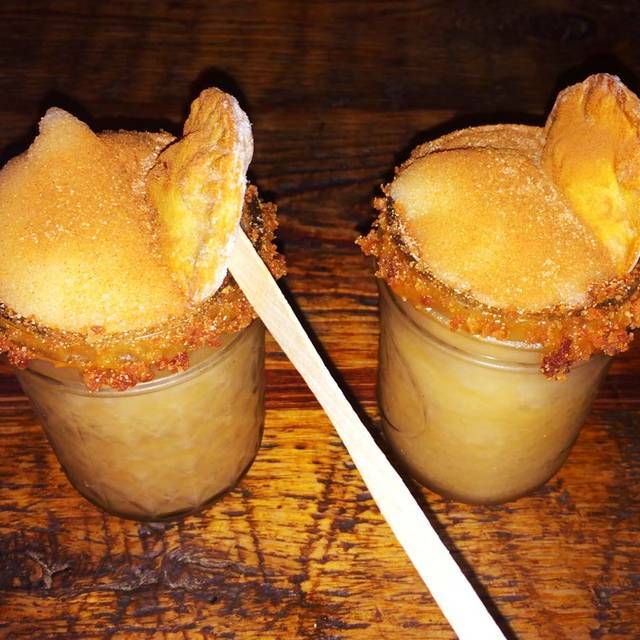 Make sure to leave room for the pizza dough cone dessert. Incredible! 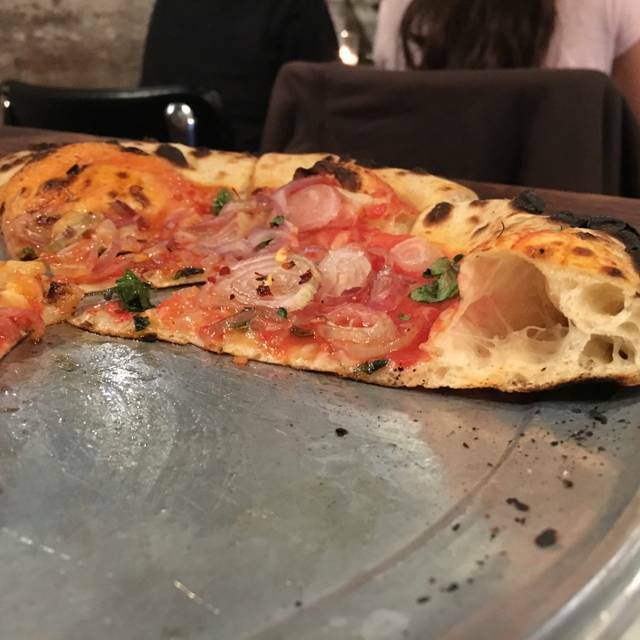 The pizza is incredible, the crust is so light and the variety of toppings will satisfy the cravings of anyone. Love this spot! As a vegetarian, it took me a couple times to figure out what I like from this spot, but now I’m obsessed! The margherita is perfection and I love the Brussels sprouts appetizer (although you need to share this because it’s a lot of Brussels sprouts). I personally don’t care for their “specialty” pizzas such as the lemon, since I feel they way over did it with the “special” flavors, but that might just be me. All in all I highly recommend this as a great spot for an affordable date night! A nice lunch spot with fantastic pizza. Well prepared food! I had such high hopes for this place but sadly it fell short. The decor is trying to be grungy chic but it honestly just looks dirty. We had a reservation and when we asked for our table, the staff had over booked the dining area so we were forced to sit in this awkward back corner near the bar. For some reason, it was painfully hot in that corner and we asked for the AC to be turned on. We were told the AC did not work because of some story about the filter being taken by the repairman. So you can't go out and buy another filter? Also, I was definitely given an attitude when I asked for the AC to be turned on which is ridiculous since we were sweating in our back corner since they forgot our reservation. This was the first 15 minutes of being there and overall the experience wasn't great thus far and we hadn't even ordered our food yet. Finally we ordered several appetizers and pizzas for the meal to give it all a fair try. It seemed to us that everything they make there is heavily covered in truffle oil. So so much truffle oil and even with that, a lot of it was still pretty bland. The pizzas are doughy and undercooked and lacking in flavor. The drinks in the flask is a cute idea expect for the fact they barely taste like there is any alcohol in them and they were $12 + a drink. All and all, this place was pretty pricey for not so great service and mediocre tasting food. It's definitely a pass for me and I would not recommend. Every time I go to the parlor it never disappoints ! I’ve reccomneded a few people and they have also loved it. Don’t forget the ice cream pizza!! The Parlor was hopping on the Sunday night we had our reservation, but then quieted down as the evening went on. The appetizers were amazing and innovative—highly recommend the Brussels sprouts and the Maitake mushroom. Our pizzas were delicious with a light crust to die for. Only a few dessert choices but both we shared were yummy, especially the coconut flan. We’ll be back! Amazing food & service. Thank you. It is always a great dining experience at The Parlor. Had to return for the trout special which is absolutely delicious! Crispy skin, perfectly cooked and seasoned. The beet salad was well done as well as the new mortadella salad. Bravo!!! Another delicious meal at The Parlor. Try the Brussels sprouts, fish of the day and brick oven pizza. Icr-cream pizza desert was great (highly caloric) too. Friendly service; the lemon pizza and frozen rosé were outstanding. Can't wait to go back!